Samsung’s Galaxy S9 is poised to be the go-to Android flagship for at least the next few months. We’ve already heard what the experts have to say regarding the phone’s overall look and feel and even saw how it holds up under various durability testing. Now, we’re taking a deeper dive as iFixit disassembles the larger Galaxy S9+ for a closer look at Samsung’s new dual aperture camera. For those not up to speed, the primary rear camera in the new S9 series features physical aperture blades that can adjust automatically to let in more light or restrict it for a sharper image. Most traditional camera lenses feature an array of at least five aperture blades but as revealed by iFixit, the S9 utilizes just two blades. The general consensus is that, the more aperture blades a camera has, the better. Usually, by adding more blades, the aperture hole is able to maintain a more circular shape across multiple f-stops. This impacts how the blurred, out-of-focus portions of an image look. Most agree that a circular aperture produces more pleasing bokeh. With fewer blades, you typically tend to see background elements take on a more geometric look versus a soft, circular look. Even with just two blades, it’s impressive that Samsung was able to add mechanical functionality to a mobile camera. In the case of the S9, the blades adjust the aperture from f/1.5 (the widest aperture of any mobile phone) to a sharper f/2.4. As you can see in the close-ups from iFixit, the blades used by Samsung look to be circular in nature, thus potentially minimizing the geometric effect you’d see with a traditional lens with a low blade count. 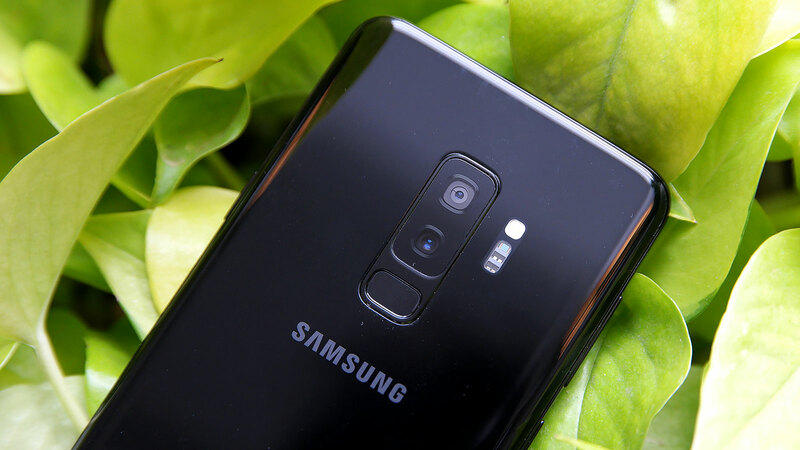 Those interested in a deeper dive on the S9’s camera may want to check out TechInsight’s teardown where they pull the phone’s camera modules apart to see what’s lurking within. As for the S9+ as a whole, it earned a lowly four out of 10 repairability score from iFixit. While it’s nice that many of the phone’s components are modular and can thus be replaced independently, the team docked points for Samsung’s use of glue to secure the front and rear glass. And while it’s technically possible to replace the handset’s battery, getting to it is unnecessarily difficult.